Download the Press Kit (PDF). Members of the press can download images for use in articles or publications. Tracey Bromley Goodwin, M.Ed, ACC, and Holly Oberacker, ATR, LMHC, have 30 years of combined experience working with children, teens and families. Tracey, an Educational and Life Coach, Specializing in ADHD, and Holly, an Art Therapist, joined forces in 2009, founding the consulting business Navigating ADHD, Inc. Navigating ADHD helps children, parents, and professionals struggling with an ADHD diagnosis. Navigating ADHD offers keynote addresses, seminars, workshops, support groups, and one-on-one counseling and ADHD coaching serving around 300 clients per year. Their multi-modal approach is dynamic as art is often part of their work with children and teens. Tracey and Holly use their own experiences in counseling and education to create practical, realistic strategies that can truly help parents and children face the daily challenges of ADHD. Their learning and support center is located in Centerville, Massachusetts with satellite offices on Nantucket and virtual services internationally. 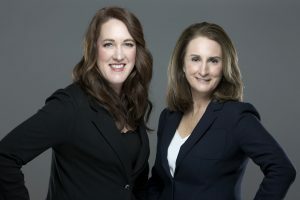 Tracey and Holly have been guests on Fox News and NBC’s Mass Appeal and has been featured in the press for their Award Winning Book; Navigating ADHD: Your Guide to the Flip Side of ADHD. Keynote Addresses, Seminars and Workshops: Navigating ADHD seminars and workshops are geared toward professionals in the fields of medicine, education and mental health as well as for families dealing with ADHD. These innovative and engaging programs are geared toward adult learners with the goal of equipping attendees with skills necessary for successfully managing the daily challenges of an ADHD diagnosis. Navigating ADHD – A Parent Education Support Group: Parent education support groups are designed to guide families through any frustration or sense of isolation they may be experiencing. Participants gain support from others with similar experiences, while participating in an interactive, educational workshop. Multimodal Approach – Clients work with both Tracey and Holly and get both art therapy and academic coaching while parents receive training and support. One-on-One Sessions: Academic, ADHD, Executive Functioning, Life Skill Coaching and Art Therapy sessions are for families as well as anyone diagnosed with ADHD. Speaking Engagements: Navigating ADHD speaking engagements are tailored to meet the specific needs of an organization’s target audience. Topics may include, but are not limited to, An ADHD Introduction, Communication Strategies, Social Skills, Bullying,Using Art in Your Work with ADHD Children and Teens and Teaching Strategies. Holly is a registered Art Therapist and Licensed Mental Health Counselor with more than twelve years experience working exclusively as an art therapist with children who have ADHD. She has worked with clients in public, special education and alternative learning schools, outpatient clinics, and in private practice. 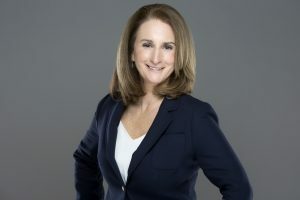 Holly’s area of expertise is assisting her clients in creating visual strategies for managing the emotional, behavioral and communication needs of children diagnosed with ADHD, mood disorders, anxiety, eating disorders and other mental health issues. Holly’s approach is solution-focused and proactive. Her seminars have been featured twice on the televised Parent Connection Series and her work has been featured on “The Sunday Journal” on WQRC. She holds a Master of Arts in Art Therapy from the University of Illinois at Chicago. Holly is married with two children and lives on Cape Cod. Tracey Bromley Goodwin has a Master of Education in Curriculum and Instruction with a Specialty in Conflict Resolution from Lesley University and has been trained as a Life and Executive Functioning/ADHD Coach. Tracey’s past career as a teacher led her to finding her passion in working with children, teens, and their families. 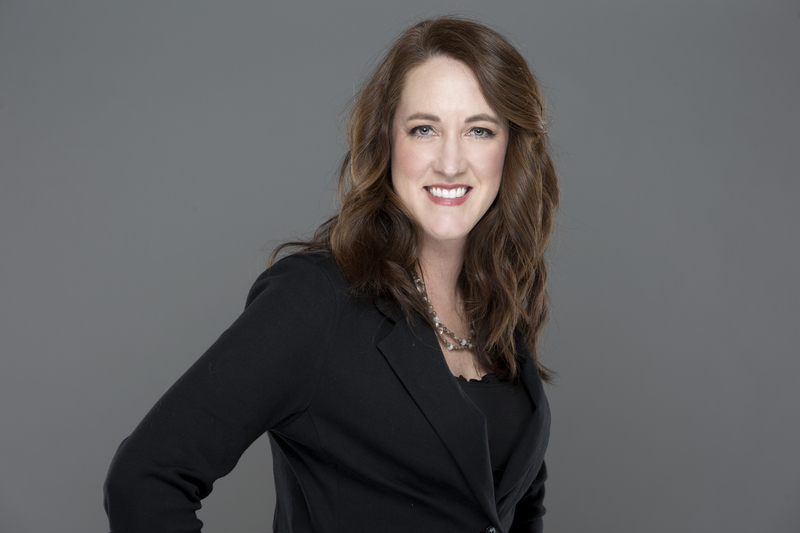 Tracey is the co-founder of Navigating ADHD, Inc. and has been practicing as a coach for 18 years. Tracey believes in the unique strengths of her clients and the power of creating strategies that meet the needs of each individual she works with. Tracey is married with two children and lives on Cape Cod. When parents first hear that their child has ADHD, many feel as if they’ve been set adrift on an emotional sea of guilt, isolation, confusion and fear. To help these parents and their children navigate the challenges of home life, school, and ADHD treatment, Tracey Bromley Goodwin and Holly Oberacker have created Navigating ADHD: Your Guide to the Flip Side of ADHD. This solutions-based guide to living with ADHD is a beacon for parents and children alike. Holly, an art therapist, and Tracey, an educational consultant, have more than 20 years of combined experience working with children and families living with ADHD. 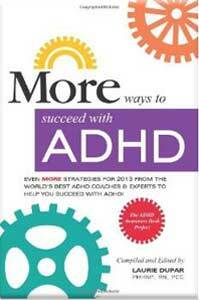 The authors steer readers through an understanding of the ADHD diagnosis, communication strategies, social and organizational skills and ADHD treatments, among other subjects. Each chapter presents real-life scenarios, concrete strategies and proven solutions that give parents the confidence they need to help their child excel. Appendices in the back of the book provide additional resources for easy reference. Authors: Holly Oberacker, ATR, LMHC and Tracey Bromley Goodwin, M. Ed. 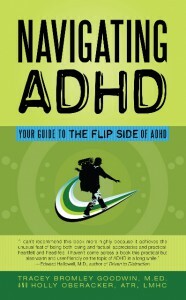 Availability: Navigating ADHD: Your Guide to the Flip Side of ADHD is available online for pre-order at www.navigatingadhd.com, at www.amazon.com and at www.barnesandnoble.com and can be found in local bookstores.